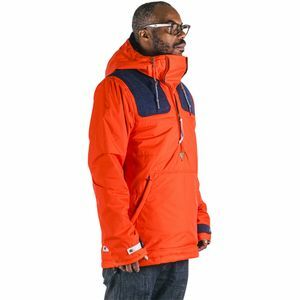 Taking inspiration from vintage jackets, the 686 Forest Bailey Cosmic Simple Insulated Jacket seamlessly transitions from inner-city handrails to pristine park kickers in wild psychedelic style. 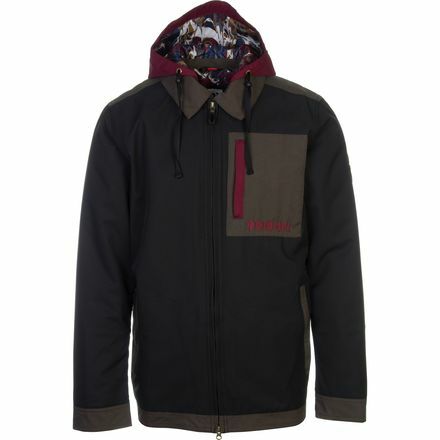 Since it's such a streamlined jacket, the Cosmic Simple won't weigh you down with unnecessary, over-the-top features when all you really want is low-bulk warmth and waterproofing for the slopes and streets. You'll find an infiDRY 10 membrane and BEMIS Seams taped in critical zones to prevent unwanted moisture from seeping inside. 60g Polyfill insulation through the body and sleeves traps fiery warmth, even in nasty conditions. Other snow-friendly features include an adjustable powder skirt with PJ Connect for seamless integration with 686 snow pants, as well as a zip-off hood for customizable protection.